Hello girlss.. Hope you all are doing well. After review of stay quirky lip balm, today I’m going to share some face masks to treat acne and pimples. If you are a regular reader of my blog then you will know that I have super oily skin which is prone to acne. I get pimples every now and then and after years of struggling with medicated products and DIY, now my skin is acne free. Now a days I get pimples very rarely and I’m happy with my skin now. All you need is patience and good skin care routine to get rid of acne. You should also maintain a good diet to keep your skin healthy from inside. In this post am going to share face masks that I use to treat acne. These face masks are not spot treatments to remove acne overnight but these masks helps to heal them faster without leaving any scars. 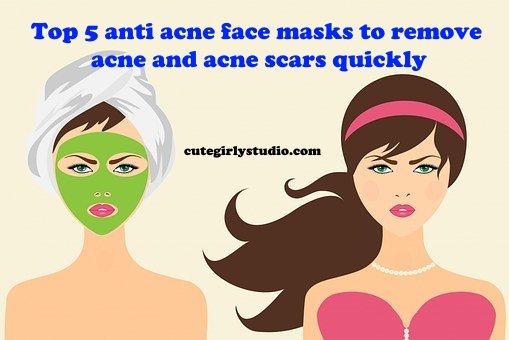 These masks also helps you to prevent any future break outs. Everyone knows that neem is a powerful ingredient to remove acne and prevent any skin issues. If you use neem regularly in your skin care routine, then trust me guys you will see huge difference in the texture of your skin. It helps to heal acne quickly, it also removes spots and also prevents black heads. Neem also keeps your skin smooth and healthy. You can use neem in 2 ways. You can use it as powder or as fresh leaves. 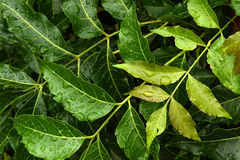 Neem leaf – 1/2 cup. Multani mitti – 3 spoons. Wild turmeric – 1/2 spoon. Tulsi leaves – 5 to 6 leaves (optional). Take neem leaves in a blender and obtain the neem paste. You may also use tulsi(holy basil) leaves for added benefits. Take multani mitti in a clean bowl. Add wild turmeric powder and neem paste to it. Mix them well and apply this all over your face. Let it dry for 15 to 20 mins and then wash it off with running water. Follow this twice a week to clear out your skin. Neem powder – 2 spoons. Multani mitti – 1 spoon. Holy basil powder – 1 spoon(optional). Mix all the powders in a bowl and then add curd to this mixture. Add curd until you obtain desired consistency. Apply this all over your face. Let it dry for 15 to 20 mins and then wash it off with running water. Follow this twice a week to clear out your skin. All the ingredients used in this mask helps to heal acne faster without leaving scars. This works best for oily to combination skin. Cinnamon remedy is quite common in blogosphere, but I want this to be included here since it actually works for most of the people. The only important thing to be considered is to buy good quality cinnamon or cinnamon powder. 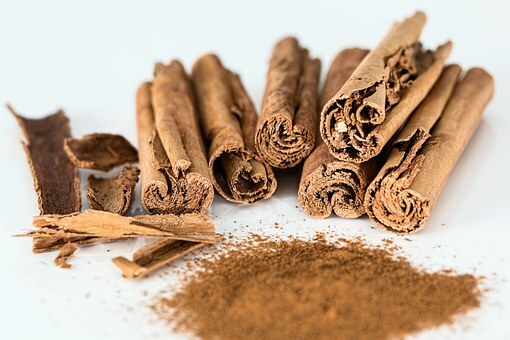 Cinnamon powder – 2 to 3 pinches. Organic Honey – 2 spoons. Mix honey and cinnamon powder. Apply this all over your face and neck. Let it dry for 15 to 20 mins and then wash it off with running water. Use this on alternate days to clear out your skin. Don’t use this mask if you are sensitive to cinnamon. This works best for dry skin. 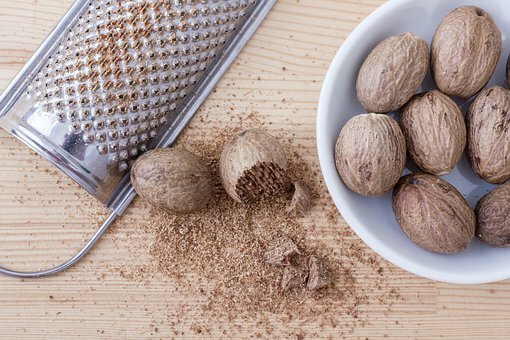 Nutmeg is also another powerful ingredient to remove pimples and acne from the first usage itself. It gives you slight burning sensation initially if you are using it for the first time but it is normal, it won’t doesn’t damage your skin. You can use this if you are ok with the slight tingling or burning sensation. Nutmeg powder – 1/2 spoon. Organic honey – 3 spoons. Take honey in a bowl. Add nutmeg powder to it and mix it well. Now apply this all over your face and neck. Let it dry for 15 to 20 mins and then wash it off with running water. Follow this twice a week to have smooth and flawless skin. This suits all skin types. 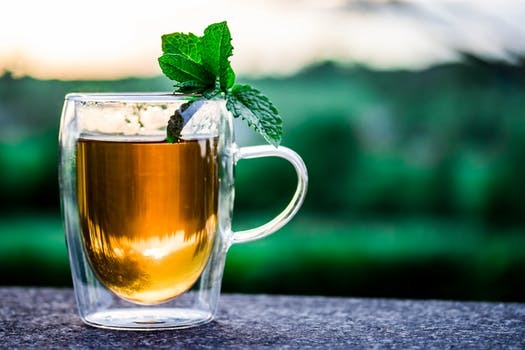 Green tea helps to regulate sebum production and also removes toxins from the skin. This green tea mask also helps to fade acne scars. It also has anti ageing properties and thus it delays ageing signs. Green tea – As required. Rice flour – 3 spoons. Brew some strong green tea and allow it to cool. Now take rice flour in a bowl and add lemon juice to it. Add some drops say 5 to 6 drops. Now add green tea to this and mix them well. Add green tea until you obtain smooth paste like consistency. Apply this all over your face. Let it dry for 15 to 20 mins and then wash it off with running water. Follow this twice a week to remove acne and acne scars. This is good for all skin types. Tea tree oils are widely used as spot treatment to remove acne. It is extremely potent when it comes to remove acne. Tea tree oil keeps acne causing bacteria at bay. It keeps your skin clear and glowing. Tea tree essential oil – 3 drops. Take oatmeal in a bowl and mix it well with curd until you obtain the desired consistency. Now add tea tree essential oil to it. Apply this all over your face. Let it dry for 15 to 20 mins and then wash it off with running water. Use this face mask on alternate days for soft and acne free skin. This suits best for dry skin. If you have oily skin use the mask mentioned below. Take 2 spoons of honey in a bowl. Now add 3 drops of tea tree essential oil to it. mix it well and apply it all over your face and neck. Let it dry for 15 to 20 mins and then wash it off with running water. 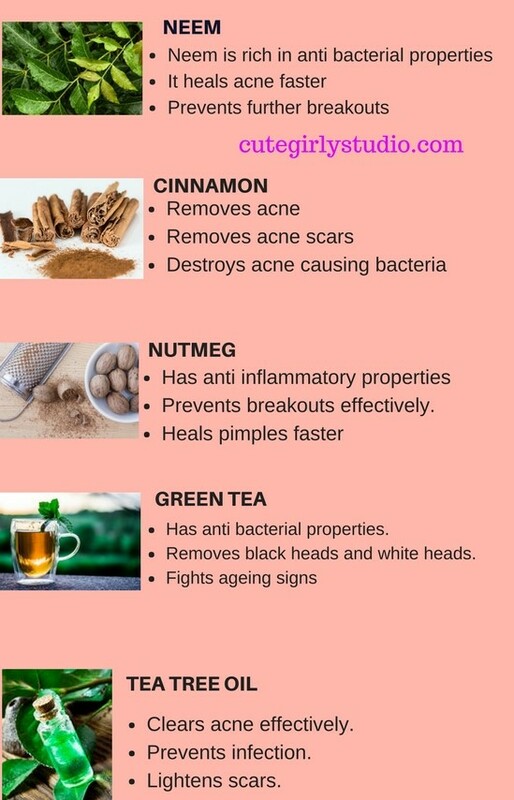 Follow this everyday for acne and scar free skin. Do let me know if you like this post in the comments section. Subscribe to my blog and follow on Facebook | Instagram | pinterest .